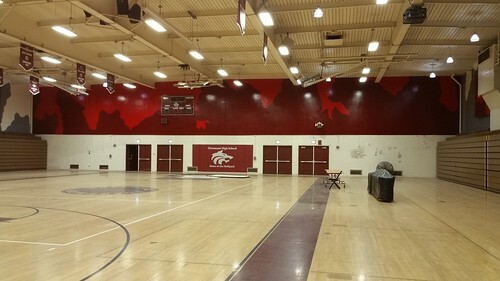 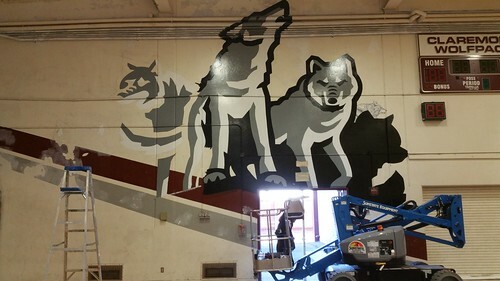 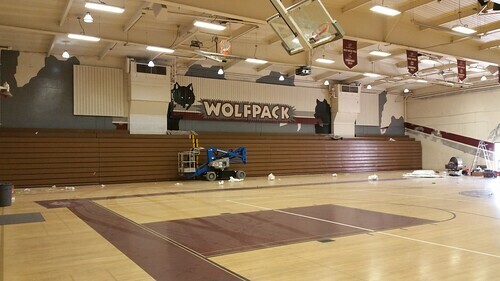 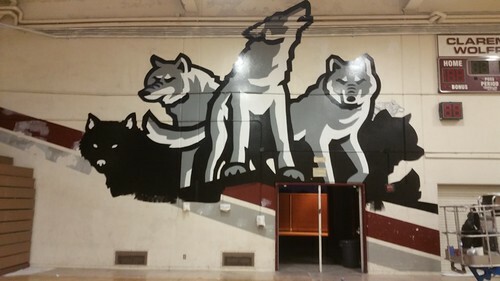 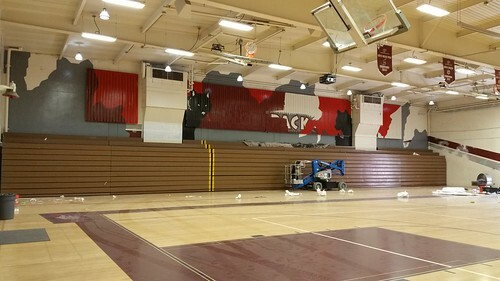 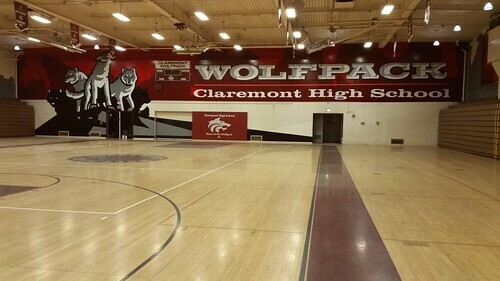 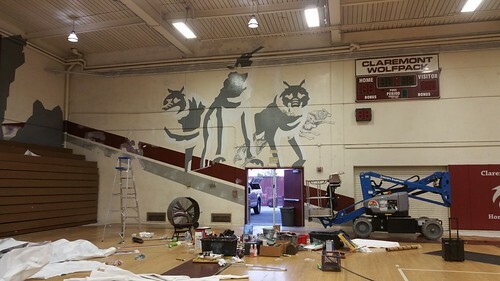 Inside the gym of Corona del Mar High School in Newport Beach (in Orange County CA) – alma mater school mural graphics, along with the school mascot, the Sea King. 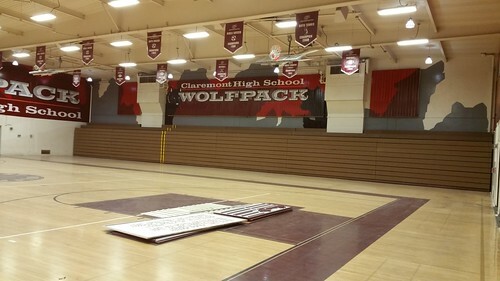 Underneath the main graphics is a listing of donors – every member of the 2016 senior class. 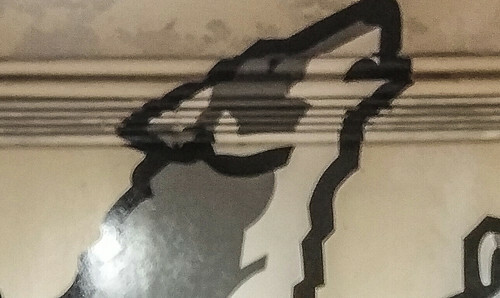 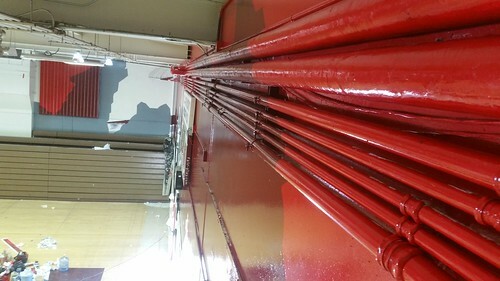 This is digitally printed and computer cut vinyl, which can work well on interior wall applications like this. 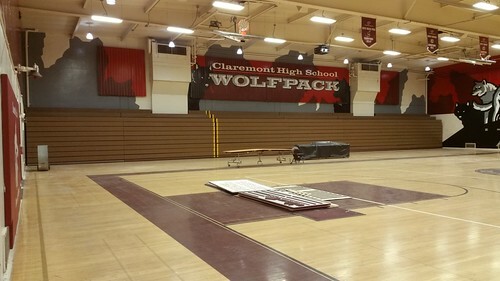 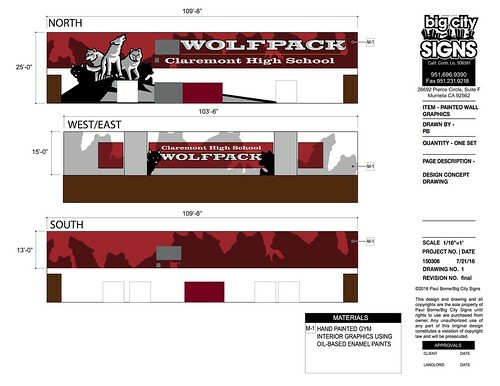 Thanks to Corona del Mar High School for the opportunity to help.